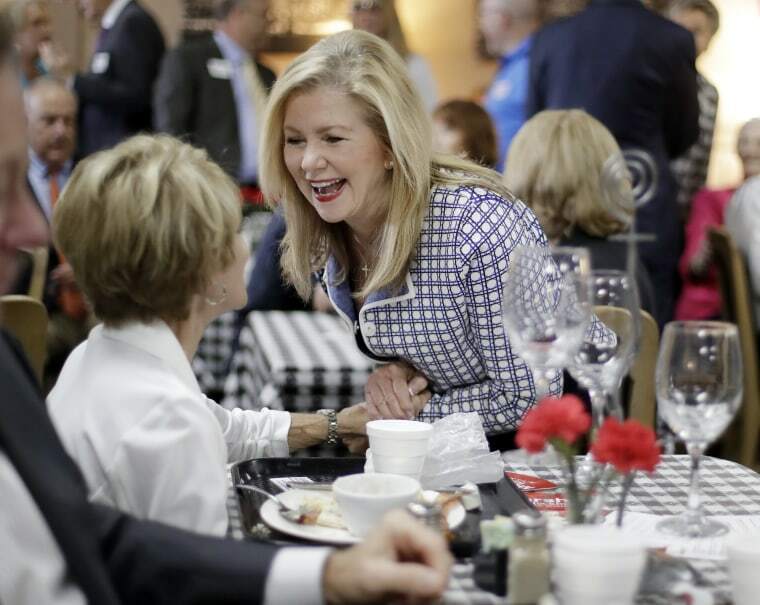 Among likely voters, Blackburn leads 51 percent to 46 percent. WASHINGTON — Republican Marsha Blackburn is now narrowly edging Democrat Phil Bredesen in Tennessee’s closely-watched Senate race despite Bredesen’s higher favorability with likely voters, a new NBC News/Marist poll finds. But both Blackburn and Bredesen have seen decreased popularity since the bruising campaign — including more than $50 million spent on television ads — kicked into gear. Blackburn’s standing has improved since a previous NBC/Marist poll of Tennessee released in early September, when Bredesen led 48 percent to 46 percent among likely voters. That poll was conducted Aug. 25-28. Among likely voters, 45 percent have a favorable impression of Blackburn, while 46 percent have an unfavorable one. That’s down from a 46 percent favorable/36 percent unfavorable rating two months ago. Blackburn has seen her popularity drop among Democrats, Republicans and independents. Republican Bill Lee leads Democrat Karl Dean in the governor’s race by 57 percent to 40 percent among likely voters. That 17-point margin for Lee is even greater than his 13-point advantage in late August. President Donald Trump’s approval rating has improved significantly since the last NBC/Marist poll. More than half — 56 percent — of Tennessee likely voters give Trump a thumbs up, while 39 percent disagree. That’s compared with a more narrow 47 percent approve/43 percent disapprove rating for the president about two months ago. Voters in Tennessee also favor candidates who supported the nomination of Supreme Court Justice Brett Kavanaugh, the poll finds. About four-in-10 — 42 percent — say they are more likely to back a candidate who supported his confirmation, while 27 percent say they are more likely to back a candidate who opposed it. The poll was conducted Oct. 23-27. The margin of error for all adults is plus or minus 4 percentage points. The margin of error for 471 likely voters is plus or minus 5.7 percentage points.